Taking Restaurant Services toa Whole New Level! Pizza Mia is your own restaurant in Stoneham to enjoy delicious treats. Serving for the whole location, we provide a wide menu in our restaurant. We, at Pizza Mia, redefine pizza flavors and varieties. Our menu comes with a huge number of pizza choices. But that is not all. 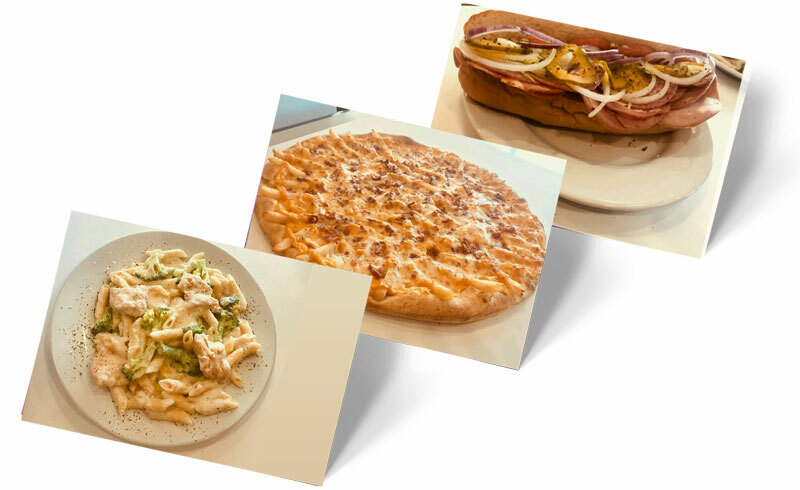 We also have pasta dishes, sandwiches, salads, subs, burgers, beverages and much more. So, you get to enjoy new varieties every time to come to our restaurant or order online. You never have to wait for long when you are hungry. With Pizza Mia, you can get the food delivery at your doorstep in no time. We take complete care of your requirements and deliver the freshest quality food anywhere in Stoneham. This has made us a favorite of all our customers. We have an experienced team of chefs who create new dishes and varieties for you. Along with that, our team members also include our management professionals and delivery staff. With such a huge team, we ensure that every customer gets served the way he or she pleases. And that is what makes us a favorite restaurant place for our customers. Enjoy delicious food in Stoneham! No matter where you are, our food can become available to you. Simply come to our site and order online. All it will take is a few clicks. You can also get exciting offers while placing orders.